This odd little book structure may resemble an artist book, but it's actually a very rare Victorian portable copier device made by Sampson Mordan & Co. in England, and is designed to make a copy of a handwritten letter with the application of pressure, ink, paper and water. 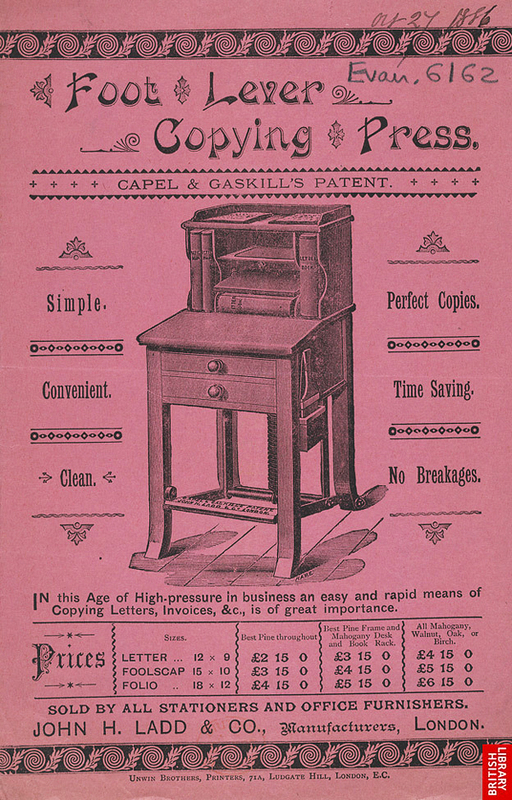 Typically referred to as a copying press, they were often found in homes and offices in the second half of the 19th century before the rise of the typewriter. I must have blinked when this rare portable copier press sold on eBay recently, and I hope it found a happy home/office. 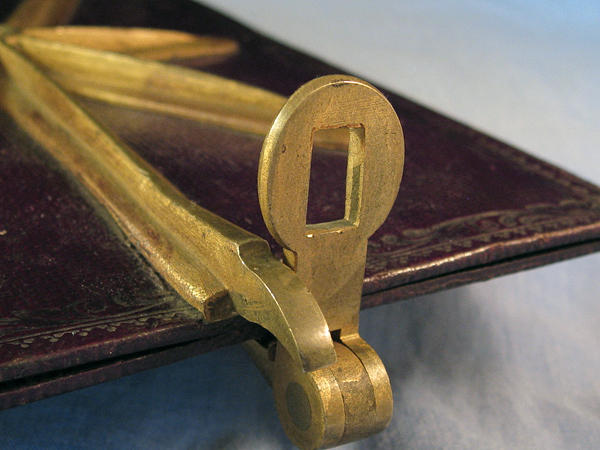 Sampson Mordan (1790-1843), the maker of this copier book, was actually a British silversmith and co-inventer of the first patented propelling mechanical pencil in 1822. 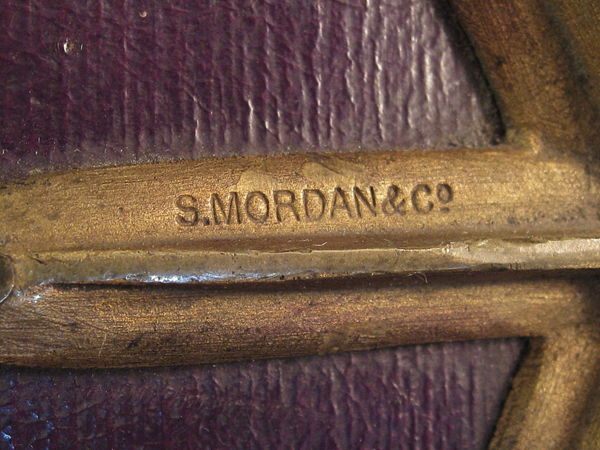 Mordan later formed a partnership with Gabriel Riddle, an established stationer, and together they sold silver mechanical pencils resembling figural objects, animals, and other novelty shapes, which were (and still are) highly prized. 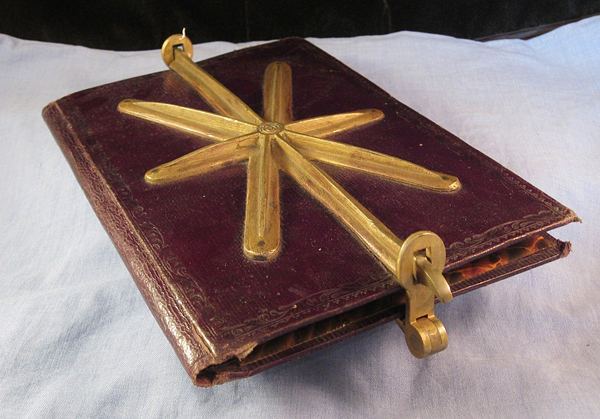 In addition to their wildly successful pencils, they manufactured inkstands, letter balances, cedar pencils patent locks, fire proof cash boxes, deed boxes, seal presses, and these unusual leather bound portable copying presses. 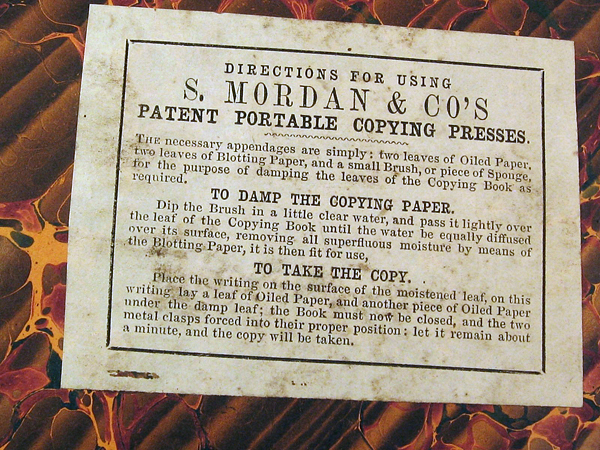 A copy was made by dampening a single sheet of tissue-like paper and placing it on a newly inked original. After bookending each with a sheet of oiled paper to prevent further ink penetration, the moist tissue paper could easily absorb the ink from the freshly written original once pressure was applied. The newly made copy was thin enough to be read from both sides and it could then be sandwiched between blotter paper for drying. 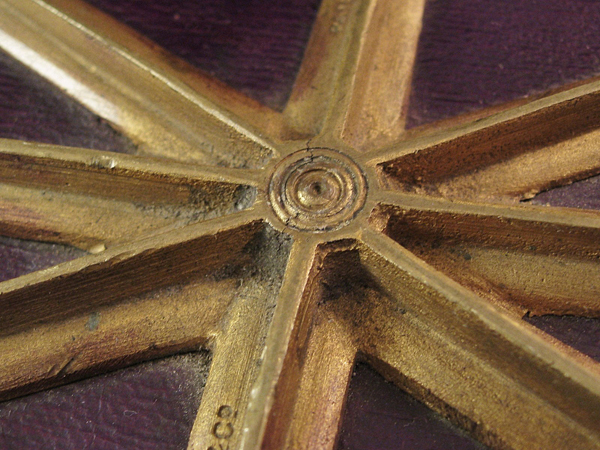 A successful copy was directly dependent upon the amount of time and pressure applied to each impression, and how freshly inked the original had been. Office Museum, the definitive site on antique office equipment, claims "the quality of the copies made on letter copying presses was limited by the properties of the available copying inks." 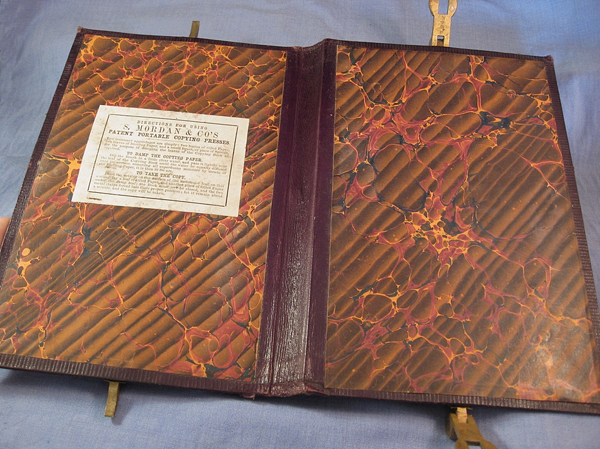 The first aniline dye was invented in 1856, which roughly coincided with the earliest importation of thin papers from Japan, and this set the stage for the rise of bound letter books for safekeeping of documents. Making multiples of any business documents and letters in the 19th century was a persistent challenge, but this began to change after the introduction of the typewriter and the improvement of greaseless carbon paper around the 1880s. 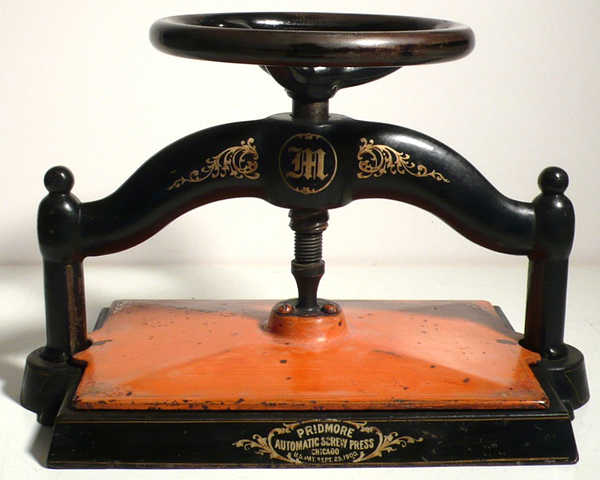 Up until this period, copying presses of all shapes, sizes and styles were being developed. This advertisement for a foot lever press from a London dealer appeared in 1886. 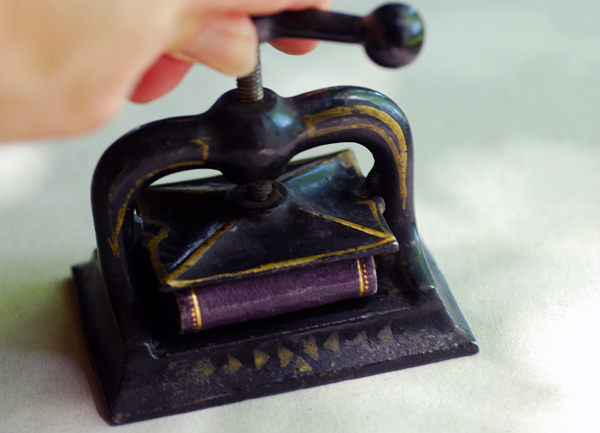 More familiar to bookbinders is the heavy iron screw press which was also used for copying office documents in the 19th century, using the same principles of water, ink and pressure. Less portable maybe, but far more industrial strength. 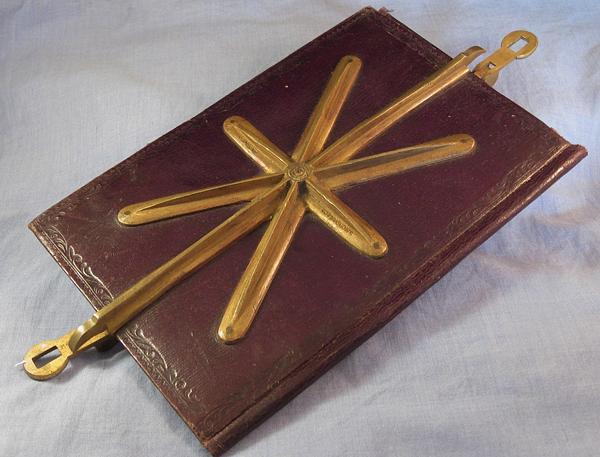 Then again, this more portable iron book press which stands about 3.5 inches tall and weighing just over one pound, must have been dreamed up by some really small business owner, bent on usability.